/ Modified mar 19, 2018 3:54 p.m.
Students on the University of Arizona campus protest President Trump's announcement in September 2017 that the DACA program would be phased out. Deferred Action for Childhood Arrival recipients in Arizona will continue to be able to drive legally, as the U.S. Supreme Court Monday morning refused to hear the state's attempt to block so-called "Dreamers" from being issued licenses. The justices did not give reasons for refusing to hear the case. The decision means a lower court's ruling in favor of Arizona's DACA recipients stands. Jennifer Chang Newell, an attorney with the American Civil Liberties Union, said driving is vital in a state the size of Arizona, which does not have an extensive public transportation system. "Because of this victory, 20,000 DACA recipients will be able to continue driving in the state of Arizona," Chang Newell said. The DACA program was established in 2012 by the Obama administration. Then-Arizona Gov. Jan Brewer tried to stop recipients from being issued licenses, claiming it could lead to them trying to claim public benefits. 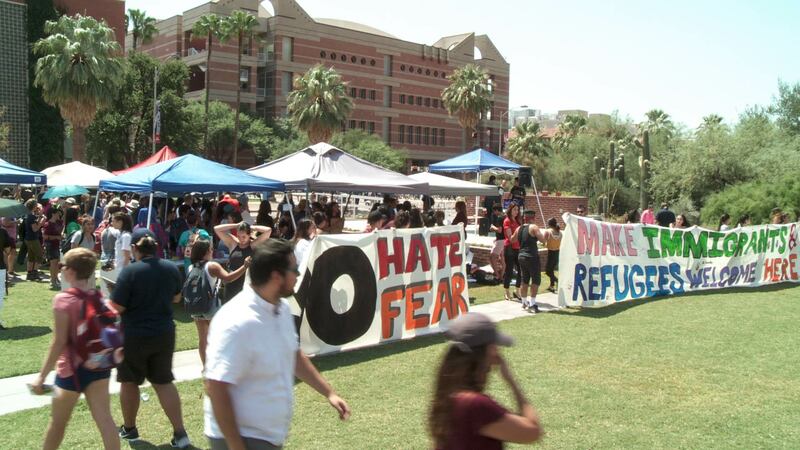 Monday's Supreme Court decision to not hear the case is a step forward in the fight to find a permanent fix for DACA, said Karina Ruiz, a DACA recipient and executive director of the Arizona Dreamers Coalition. "There are other cases that are pertaining to DACA, and if we don't win in those, then this win over the driver's license wouldn't mean anything," Ruiz said. "If DACA is taken away, we wouldn't be able to apply for driver's license.